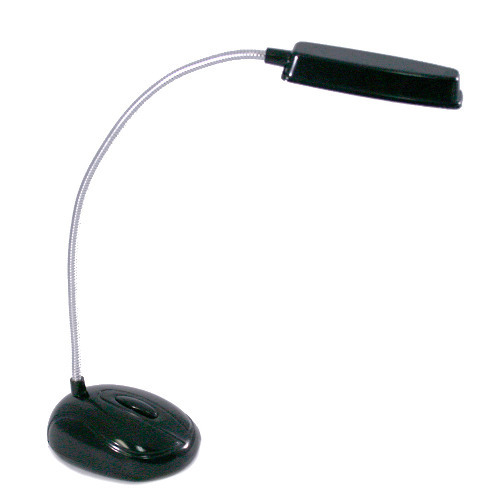 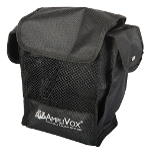 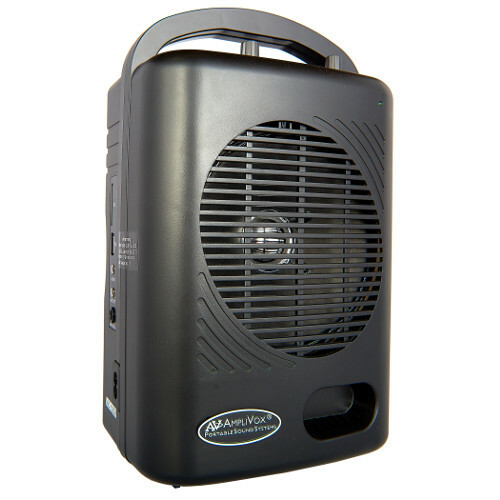 Designed for classrooms, school yards, tour groups and meetings. 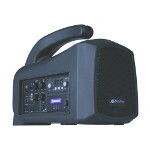 Dual channel wireless system featuring two person simultaneous usage. 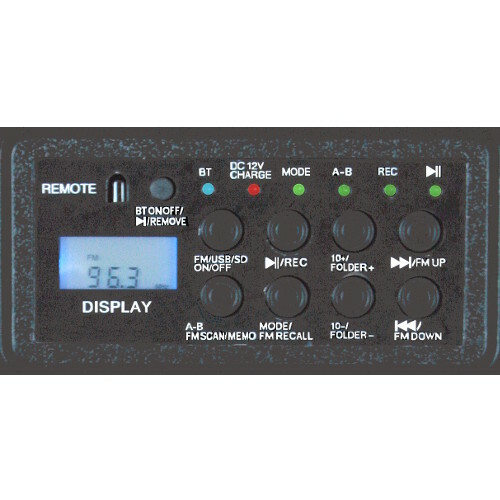 Control Panel with FM function and USB/SD port. 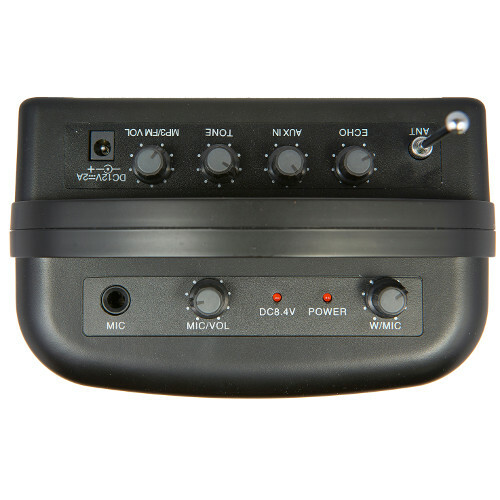 Volume and mic controls with tone, echo, and auxiliary. 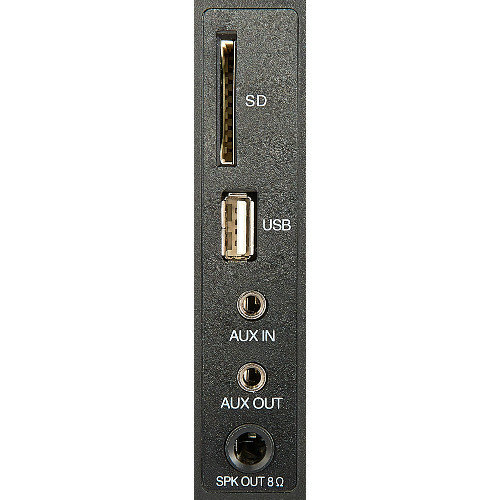 Includes USB, SD, Auxiliary In/Out with speaker output. 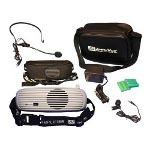 Includes remote, belt-pack transmitter with lapel and handheld microphone. 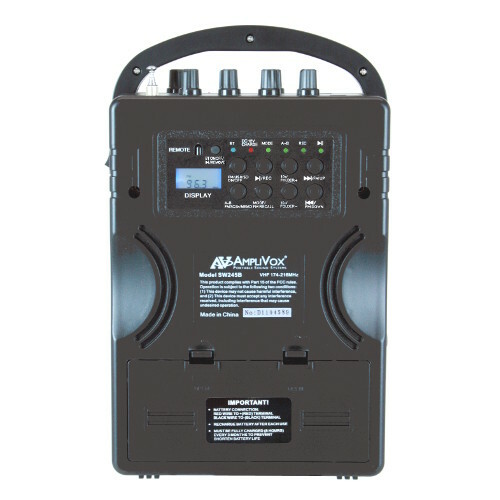 Dual Audio Pal The SW245B Dual Audio Pal system packs 50 watts of power into a unit weighing less than six pounds, reaching an audience size of 300 people with crystal clear sound. 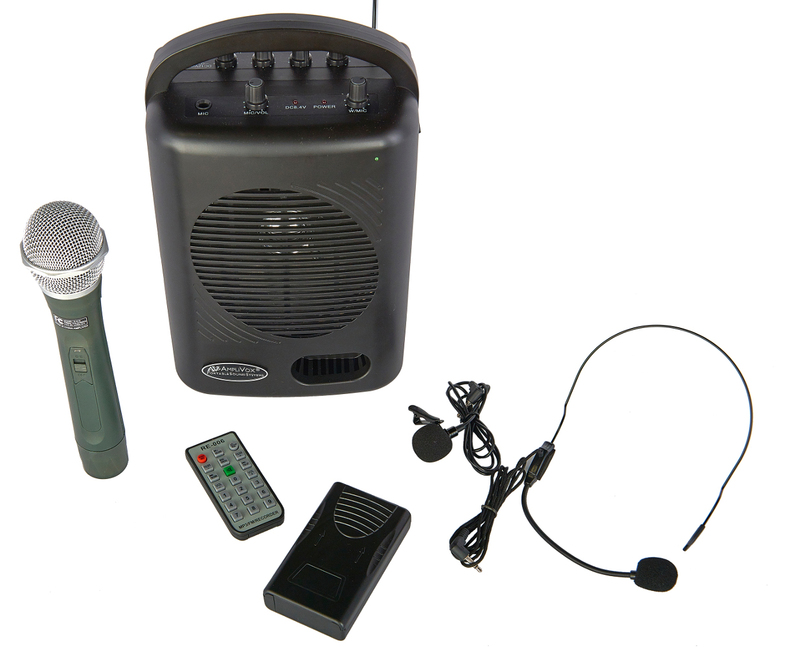 Built-in dual channel VHF wireless microphone system featuring two person simultaneous usage. 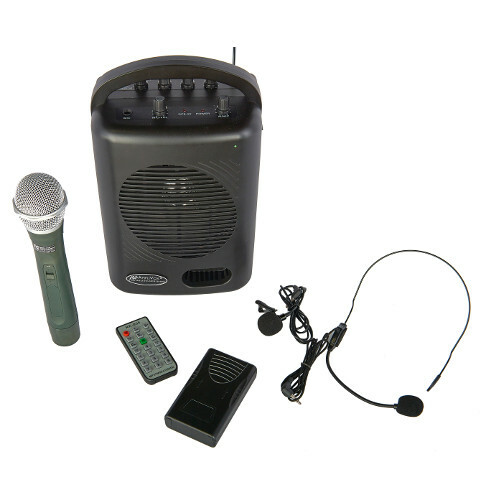 One person can be using the wireless handheld microphone while another uses the headset or lapel microphone. 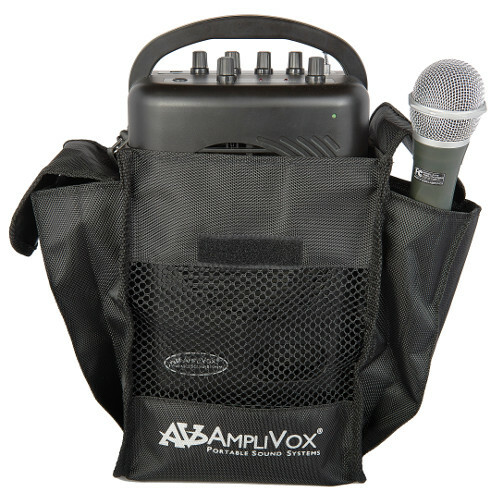 Includes a lapel microphone, headset microphone, bodypack transmitter and a handheld wireless microphone with built-in transmitter. 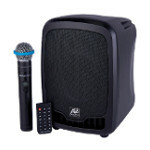 The wireless microphone has a range that allows the presenter to stand up to 100 feet away from the PA system while speaking. 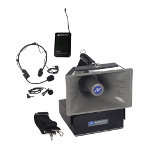 Wireless Range: 61 to 128 ft. 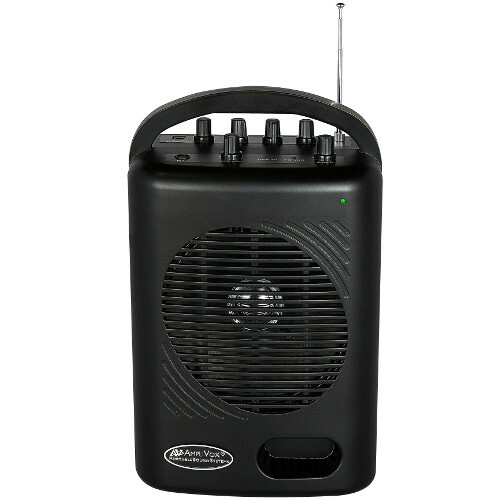 Features include TWO Digital 2.4 GHz wireless microphone receivers, and a built-in Bluetooth module. 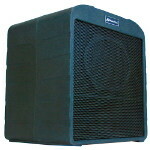 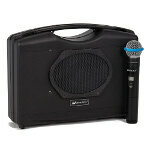 All-in-one wireless compact portable PA solution, perfect for voice and music indoor or outdoors.